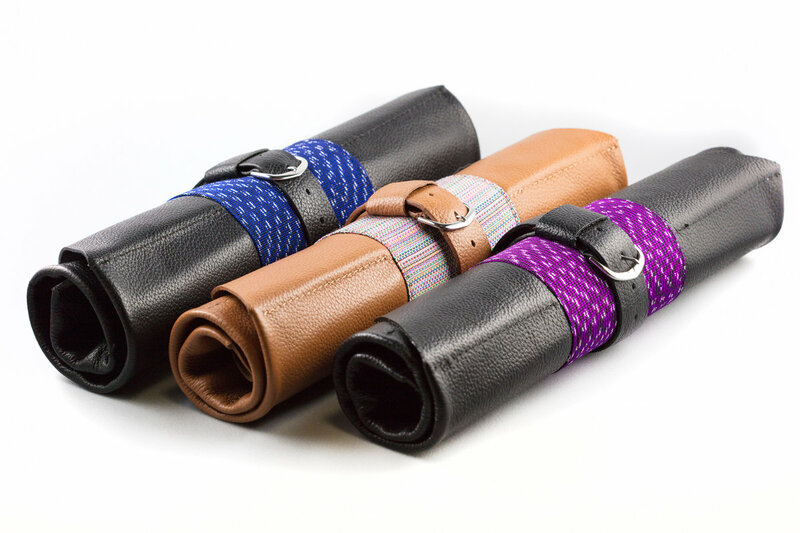 New hand made textile and leather watch rolls that fit up to 8 watches. 1. Purple fabric with black leather details. 2. Confetti fabric with burgundy leather details. 3. Blue fabric with black leather details. 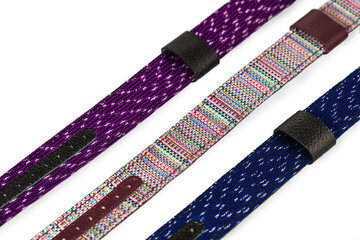 Please note each woven pattern is hand made and each strap will have a slightly different pattern.